Unless you’ve been dead or living in Edmonton, as my friend Jack likes to say, most Canadians (including Edmontonians) have been experiencing first-hand the unbelievably frigid temperatures Old Man Winter has been dishing out to us this past week. Of course we Albertans believe that we still hold the title for far harsher and colder temperatures than our Francophone brothers in Quebec, although we must bow to our hearty neighbours in the province of Manitoba for wind chills that even have brass monkeys booking tickets to Florida. But this week Alberta has experienced what our weatherman likes to call a “Polar Plunge”. Many schools (notice I did not say ‘all schools’) were closed on Wednesday when the ambient temperature outside dipped to – 30 (that’s -22 F for my American friends). Yes, despite the temperature many children still trudged off to school wearing only their hoodies and flip flops. But I did notice that when we factored in the windchill and the mercury dipped to a balmy -40 (that’s -40 F), some kids elected to wear long pants to school rather than their shorts. Can we all say “Brrrrrrrrrrr!” together? Luckily, Alberta is looking forward to another “snow eating” Chinook coming our way in the next twenty-four hours and our temperatures will soar to +2 C. To all of you who have never experienced what that kind of radical barometric change does to a body just ask my friend Emilie, or my son Brett and all those others who suffer from migraines when the Chinook winds start to blow. If asked, they might even say they like the cold better than the Chinooks. 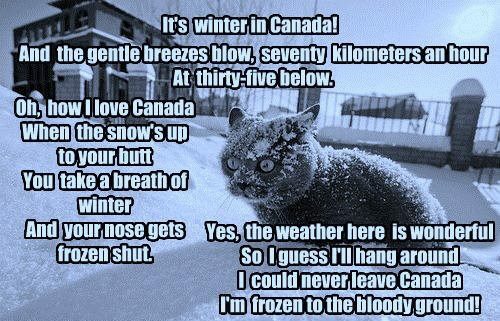 But for now we’re headache free and still freezing our buns off here in sunny Alberta and so here’s to all of my Canadian friends making the best of a cold situation right now. 50°F – New Yorkers try to turn on the heat. Canadians plant gardens. 40°F – Californians shiver uncontrollably. Canadians sunbathe. 35°F – Italian cars won’t start. 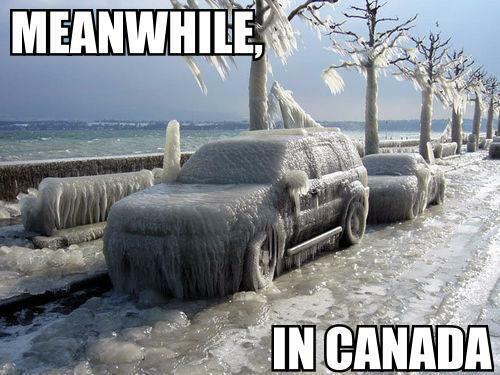 Canadians drive with the windows down. 32°F – Distilled water freezes. Canadian water gets thicker. 20°F – Floridians wear coats, gloves & wool hats. Canadians throw on a t-shirt. 15°F – Californians begin to evacuate the state. Canadians go swimming. 0°F – New York landlords finally turn up the heat. Canadians have the last cook-out before it gets cold. -10°F – People in Miami cease to exist. Canadians lick flag poles to see if their tongue will stick. -20°F – Californians fly away to Mexico. Canadians throw on a light jacket. -40°F – Hollywood disintegrates. Canadians rent some videos. -60°F – Mt. St. Helens freezes. Canadian Girl Guides begin selling cookies door to door. 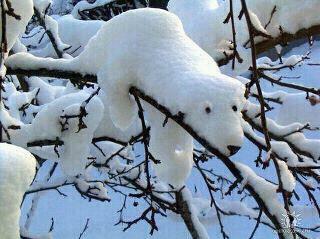 -80°F – Polar bears begin to evacuate Antarctica. Canadian Boy Scouts postpone “Winter Survival” classes until it gets cold enough. -100°F – Santa Claus abandons the North Pole. Canadians pull down their ear flaps. -173°F – Ethyl alcohol freezes. Canadians get frustrated when they can’t thaw the keg. -297°F – Microbial life survives on dairy products. Canadian cows complain of farmers with cold hands. -500°F – Hell freezes over. The Toronto Maple Leafs win the Stanley Cup. 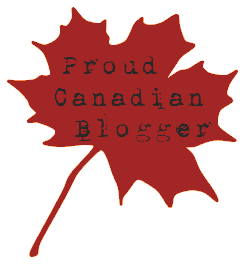 This entry was posted in Canadiana, Hope through Humour and tagged Canada, Canadiana, Cold, Funnies, Hope through Humour, Humour, old man winter, Polar, polar plunge, Weather, wind chills. Bookmark the permalink.